If you’re looking to visit a fun Southern city that is growing like crazy, look no further than the Queen City. One of the newest JUGS contributors, Heather, moved there a year ago with her fiancé for his job, and she quickly fell in love with the city. Charlotte is absolutely bustling with places to eat and things to do. American Airlines also has a hub in Charlotte, so it’s a quick, easy plane ride from Boston, New York, and many other locations. Here Heather shares her top tips of what to do on a weekend trip to Charlotte! The USNWC is a one-stop shop for all awesome outdoor activities. Among other things, you can go hiking, whitewater rafting, kayaking, zip lining, biking and rock climbing. After you’re done with all of those, relax with food and drinks at the River’s Edge Bar and Grill and Pump House Biergarten. On Thursday, Friday, and Saturday nights, the River Jam concert series is held at the Center from 7:00 pm - 10:00 pm! Craft breweries have been popping up like crazy in the Queen City. Most of them have fun outdoor spaces and are dog-friendly. 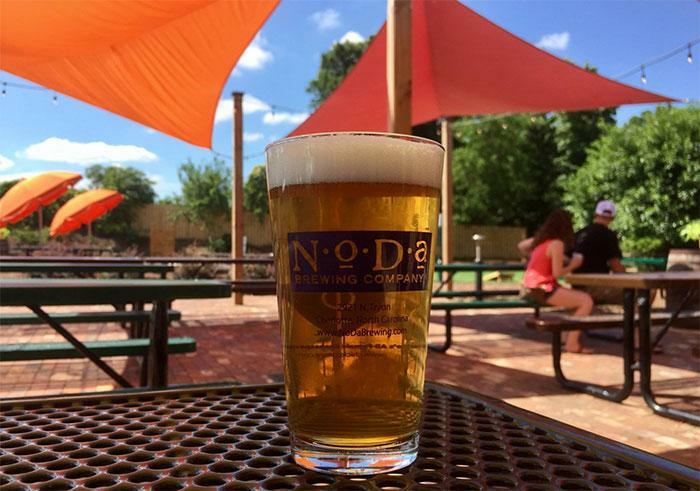 Certain neighborhoods, such as NoDa and South End, have a number of breweries within walking distance of one another, making it easy to patio hop and try more beers! Check out NoDa Brewing Company’s “Hop, Drop and Roll” if you’re into IPAs or Wooden Robot’s “Good Morning Vietnam” if you’d rather have a Blonde Ale. Here's a handy list of all of Charlotte's Breweries so you can efficiently plan your beer tour! A great way to spend a rainy day is by heading to Uptown Charlotte and taking in some culture and art. The Mint Museum Uptown has a variety of different exhibits and has free admission every Wednesday evening. The Levine Museum of the New South offers wonderfully interactive exhibits about post-Civil War Charlotte. If modern art is more your thing, The Bechtler Museum of Modern Art is located right next door to the Mint Museum, so you see both easily in one afternoon. If you’re looking for a casual Irish Pub in the heart of Charlotte’s Plaza Midwood neighborhood, Workman’s Friend has you covered. The bar crowd is always fun and is a more low-key spot to go if you’re not looking to go clubbing in Uptown. Bonus: they have a back patio where live bands play on weekend nights. While the South may not be known for its pizza, there are plenty of transplants living down here who know how to make a delicious pizza pie. Inizio is located in South Charlotte and specializes in Neapolitan style pizza. Their Bianca pie includes buffalo mozzarella, fior di latte, and ricotta if you are in the mood for lots and lots of cheese. They also serve beer and wine, making it a fun hang out atmosphere on a Friday night. This one isn't technically in Charlotte, but Kindred, a chef-driven, small plates restaurant, is worth the trip directly northbound to the adorable town of Davidson. The milk bread and butter that is served with each meal is heavenly, and they also make a milk bread cinnamon roll for dessert if you love it so much you have to have it twice. The cheese plate, ravioli, and duck fat potatoes are also not to be missed. Service at this restaurant is always top-notch and the staff go out of their way to be friendly and make you feel at home. All in all, Charlotte is a small but bustling city that is bursting at the seams with delicious food, fun breweries, and in close proximity to pristine outdoor landscapes. All make Charlotte an ideal spot for your next weekend getaway.